Canadian/Norwegian visual artist currently based out of Alberta, Canada. 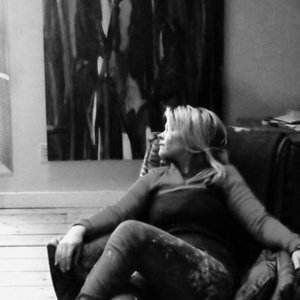 Born in Halifax, Nova Scotia in 1984, earning a BFA majoring in Fine Art from NSCAD University in 2010, with continuing education from NSCAD University, 2015. Since 2007, I have actively been exhibiting internationally, participating in over 70 group and solo exhibitions. As an advocate for mental health awareness and general well being, I am involved with various charitable organizations including the Canadian Congenital Heart Alliance and the Mosaic for mental health. In addition, my painting "Promenade" is featured as the cover of Dr. Allan Abbass' academic book, "Reaching Through Resistance." Shortly after moving to the midwest, I was nominated for the St. Albert emerging artists Mayoral Celebration of the Arts award, while exhibiting my work in the heart of Edmonton as well as introducing my finely crafted Norwegian felted pieces through the Art Gallery of St. Albert(a second practice alongside my painting practice. Inquire for more info). I recently returned from a 4 week residency in northern Iceland, and have plans to continue seeking remote residencies. I am currently working out of Edmonton, Alberta, where I can be visited at my studio or contacted through Swoon Fine Art, Visual Voice Fine Art, Daffodil Gallery, & Aphrodite Arts & Fashion.